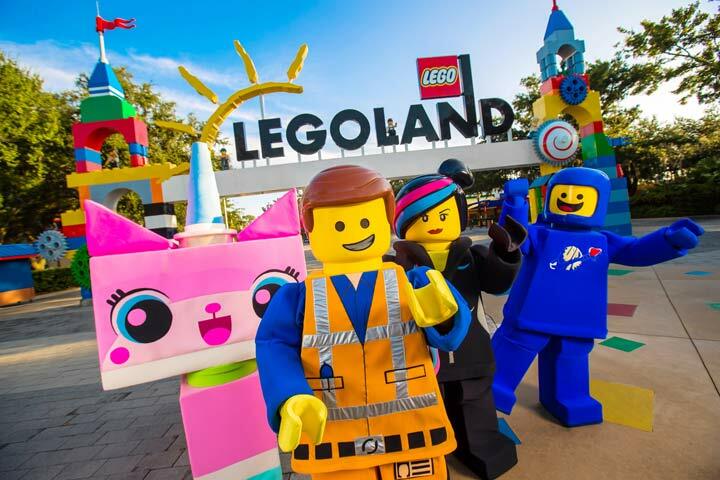 Save the most on your LEGOLAND® tickets through Get Away Today! LEGOLAND® California Resort is located just one hour south of Anaheim and 30 minutes north of San Diego in the scenic beach city of Carlsbad. LEGOLAND® California is open daily during spring break, summer and select holiday periods. ** Please note that LEGOLAND® Park is closed Tuesdays and Wednesdays during select seasons and the Water Park is open seasonally. Please check the calendar when making your vacation plans! Our tickets include coupons and offers to various stores and restaurants in Southern California, printable gifts and vacation craft ideas. Over a $400 value! LEGOLAND® California Resort Hopper Ticket with 2nd Day Free - Includes Water Park! LEGOLAND® California/Water Park Hopper with 2nd Day Free!